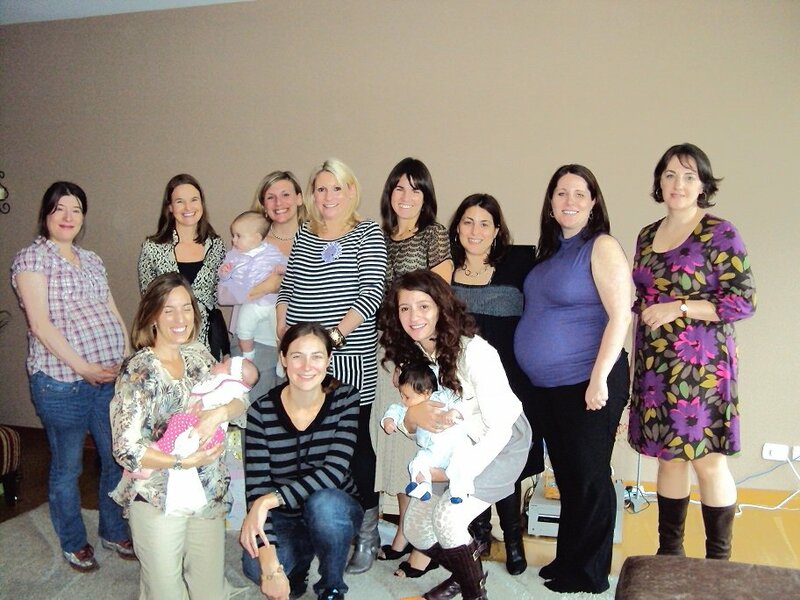 Below is a picture from a recent baby shower for one of the other mom’s in the mom’s group, Cass (in the middle, in the striped shirt) is due just a few days after me, but we’ll just have to see when these little ones decide to come. I honestly didnt realize how large my belly has gotten until seeing this picture. Yikes! I know its all part of the pregnancy thing, but whoa…. You are in the home stretch! And look fabulous!